The Canada/Saudi Arabia diplomatic dispute, which peaked in August after Foreign Affairs Minister Chrystia Freeland tweeted her support for women’s rights activist Samar Badawi, which in turn prompted Saudi Arabia to pull its students from Canadian colleges and universities (with a temporary exception for medical students), appears to have calmed—for now. But while the spat made headlines, sadly, mistreatment of women in the Kingdom—and other countries around the world, particularly in the Middle East and Africa—is nothing new. Saudi officials arrested Badawi and fellow activist Nassima al-Sada on July 30, one of several recent cases of female human rights activists being detained in Saudi Arabia. Most of these activists oppose Saudi Arabia’s guardianship system, which legally requires women to have a male guardian—a husband, father or other male relative—who controls their major life choices. For example, Saudi women must obtain permission from their guardians before they travel, go to university, get a job, and even marry. Accordion to Saudi law, they must obey their guardian’s decisions. If a woman disobeys, she can be charged with disobedience, which is exactly what happened to Badawi in 2009. She became the first woman to bring a court case challenging this system—no easy feat, considering a woman’s testimony carries less weight in Saudi courts than a man’s. Women like Badawi are fighting for freedom and the right to choose their futures. And in doing so, underline the gender disparity that exists in Saudi law while sparking a broader conversation about women’s rights worldwide. In my recent Fraser Institute policy report, Women in Progress, I rated countries based on how equally men and women are treated under the law. Saudi Arabia has the greatest amount of legal gender-disparity in the world. But it’s hardly alone; 19 countries require women to obtain permission from husbands or guardians before finding employment. Even if they are permitted to work, women in 104 countries face gender-specific labour market restrictions on the type of work they can do and the hours they can work. So what’s the solution? How can women living in oppressive countries break free, prosper and live healthier more fulfilling lives? Two words—economic freedom. 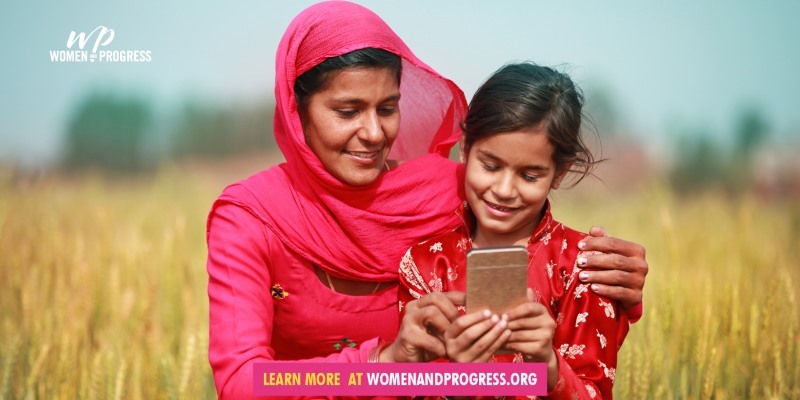 With greater economic freedom, women can choose whether and how to contribute to the economy based on their talents and interests, move to new locations to pursue opportunities, and obtain greater access to financial institutions and improved legal status, so they can start businesses and make investments for the future. Of course, progress for women not only affects individuals but the economy at large. In Saudi Arabia, for example, nearly half of the population (women) is unable to contribute to the economy, so the country is missing out on the wealth and talent its female population could generate. My study also analyzed the relationship between economic freedom and wellbeing, and found that women living in economically freer countries are better able to earn a living, have healthier lives, and have more opportunities to pursue education and financial independence. On the education front, women are more likely to invest in education if they can use that knowledge in the labour force. It’s not surprising that adult literacy rates are higher, on average, in countries in the top quartile of economic freedom (94.1 per cent) than in countries in the lowest quartile (59.7 per cent). Moreover, in economically free countries women are nearly twice as likely to participate in the labour market than women living in countries with less economic freedom. And crucially, economically free women live nearly 17 years longer, on average, than women in countries with limited economic freedom (82.3 years vs. 65.3 years). Back in Saudi Arabia, the regime recently granted women more freedoms including the right to drive. But clearly, there’s much to be done. Without removing gender-specific economic barriers, it’s difficult—and in many countries, impossible—for women to share in the benefits of free markets. Sustainable change does not happen over night, but when the potential benefits of protecting these rights are so significant, the recent Canada/Saudi back-and-forth raises a conversation that can literally save lives.